You can quickly toggle into Full Screen mode from any of the other three window layouts by pressing Shift+Alt+Enter. 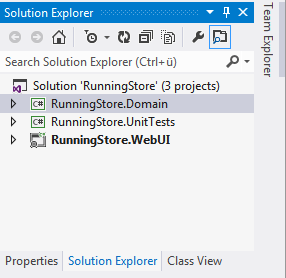 Any window customizations you make in Full Screen mode persist across different window layouts (meaning when you are in design mode and go back to Full Screen mode, you’ll see the tool windows where you last had them in Full Screen mode) and across different Visual Studio instances (where you close and reopen the IDE). 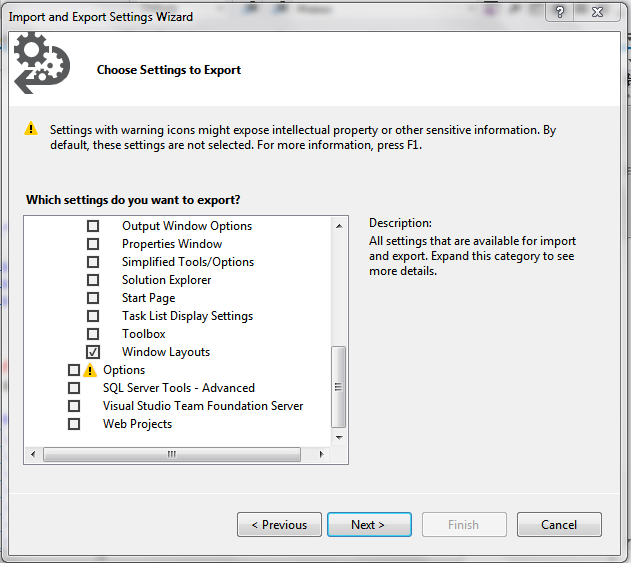 You can save all four window layout states at any time by going to the Tools–Import And Export Settings dialog box and choosing the Export option. On the Export page, check the General Settings box and then check the Window Layouts category. As she has said time and time again on her blog, it’s really the simple things in life…. she keeps forgetting about this tip, until she sees this keyboard shortcut and has to look up what it does. Use Shift+Esc to close the currently selected tool window. 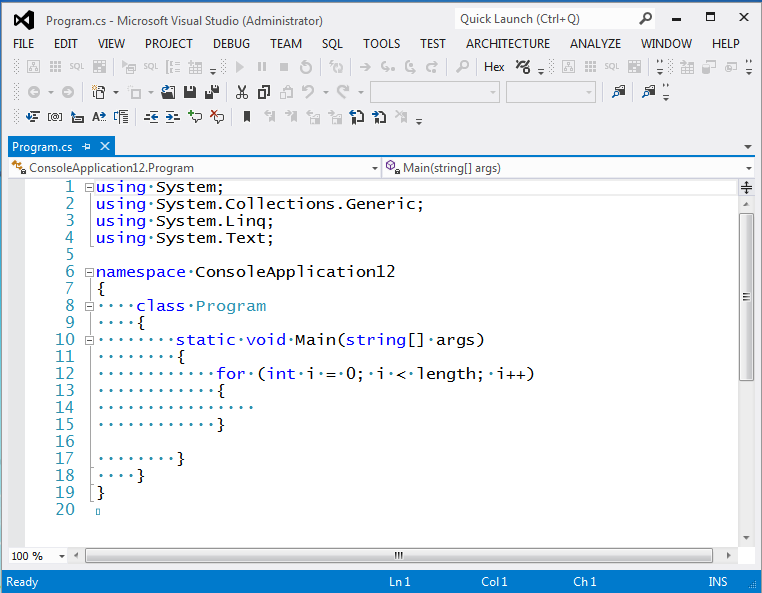 If the focus is not on a tool window but in an editor, and you press Shift+Esc, Visual Studio will just look at you. You may have noticed that within tool windows such as the Solution Explorer, you cannot reach the toolbar by hitting Tab or using the arrow keys. The keyboard shortcut to reach a tool window’s toolbar is Shift+Alt. Note that Alt+Shift will not work. Press the Spacebar once. You will get the standard window system menu with Move and Size. 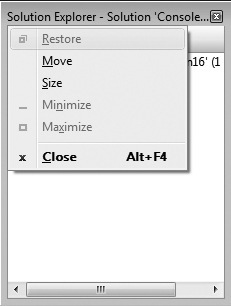 Press the arrow keys toward the window edge you want to resize, and resize from there. Press Enter to commit to the resizing, or press Esc to cancel the resize changes. Using the Move command from this menu prevents the docking targets from appearing. This is the same as pressing Ctrl and dragging an item using the mouse. If you want to use docking targets via the keyboard, see Tip 4.29. If you press Alt+Spacebar, you get the main Visual Studio window system menu; this is why you must release the Alt key before you press the Spacebar. With the desired tool window selected, press Alt+Minus to bring up the tool window menu. Press the Down Arrow to select the Move command, and press Enter. 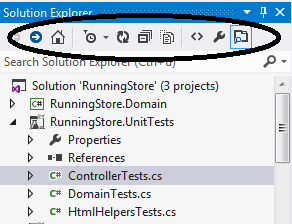 Now you can control the tool window with the arrow keys. To dock, simply use the arrow keys to get to the desired dock target and hit Enter to commit to docking the tool window to the new location. On the Tools–Options–Environment–General page, you’ll find the Close Button Affects Active Tool Window Only check box. The following screen shot shows a snapshot of two tool window tabs docked together, with the close button circled. 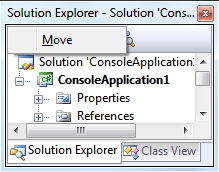 If you want only Solution Explorer to close when pressing the X button, enable the option. Otherwise, both tool windows will close. Whenever tool window tabs are docked together, they form a little group that you can move around and such, as you’ve seen in previous tips. 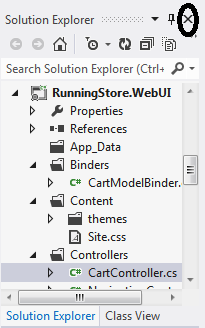 You can use Ctrl+Page Up and Ctrl+Page Down to navigate among the tool windows in this group.